You don’t have to go back too many years to return to a time when Line Array technology was only available and accessible to the very few. Numerous factors put this technology out of reach of the masses; whether it be the high level of investment required financially, the logistics of transportation and space required for storage, or simply the knowledge and experience required for successful operation. 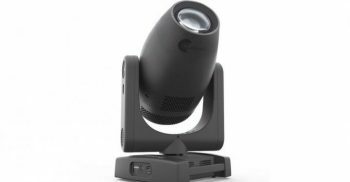 Now, the adoption rate for this technology is much more widespread, and off the back of this we see “Column Array Speakers” popping up left, right and centre, in a bid to capitalise on the ideals of clarity and extended directionality associated with Line Array systems. 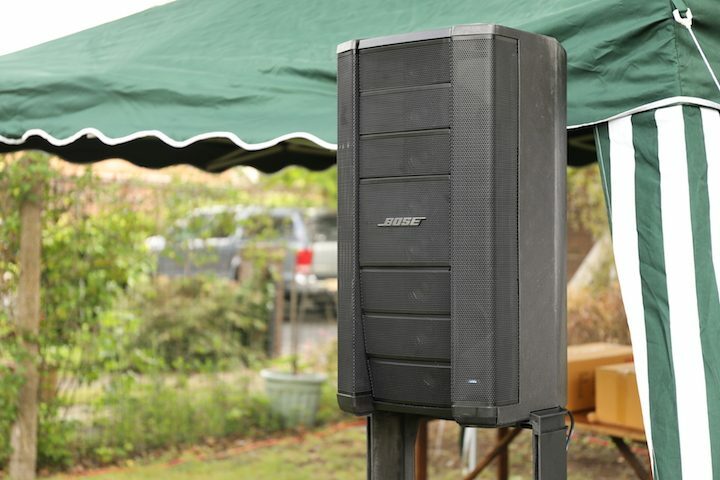 A company that was arguably at the forefront of this technology was Bose, who’s compact column line array systems captured the attention of musicians throughout the industry. No longer was there the necessity to hump around huge speakers to achieve a consistent and powerful sound, but instead this could be achieved with a small subwoofer and column speaker. 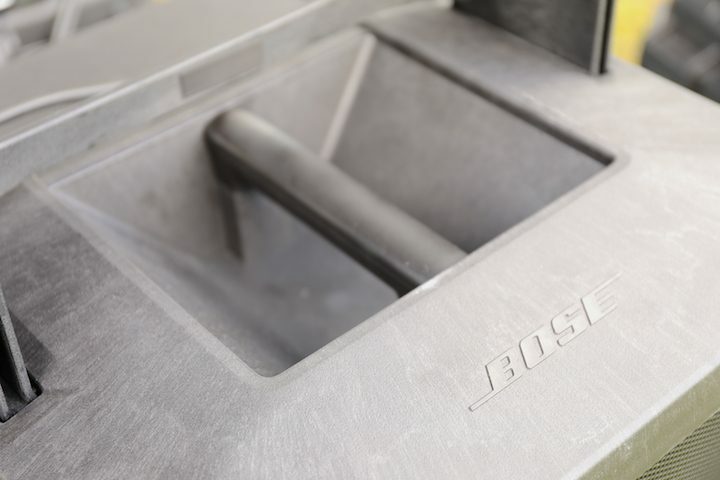 Go back even further, and we only need look at the Bose 802 series to see the concept of an array of tweeters arranged in a compact and portable cabinet utilised effectively. 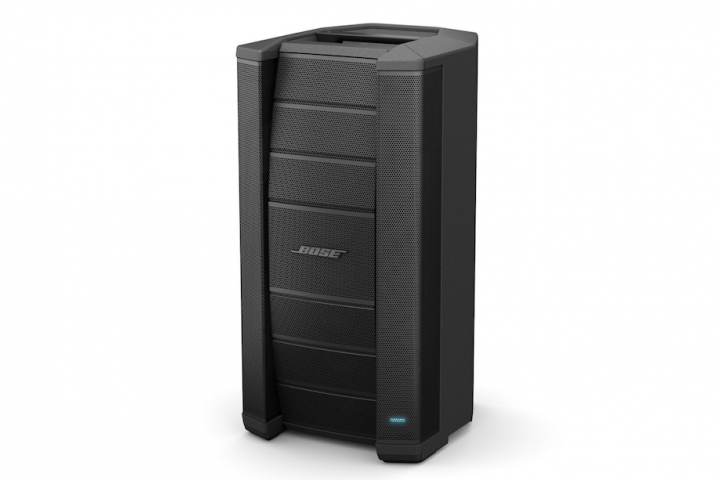 Bring it back to the here and now, and the Bose F1 Model 812 Flexible Array Loudspeaker builds on the success of these products, in the company’s latest offering to this fiercely competitive sector of the market. With the front of the unit arranged in its flat position (hang on in there, all will become clear) you’d be mistaken on first inspection for thinking that the unit was nothing more than a slightly elongated 12″ full range speaker with a rather unusual grill design. Step closer, however, and one soon discovers that this couldn’t be further from the truth. Indeed, the 12″ woofer that you might expect to find in a cabinet of this size is present, but it’s the arrangement of the tweeters that sets this apart from the rest. After all, portable ARRAY loudspeaker, remember? 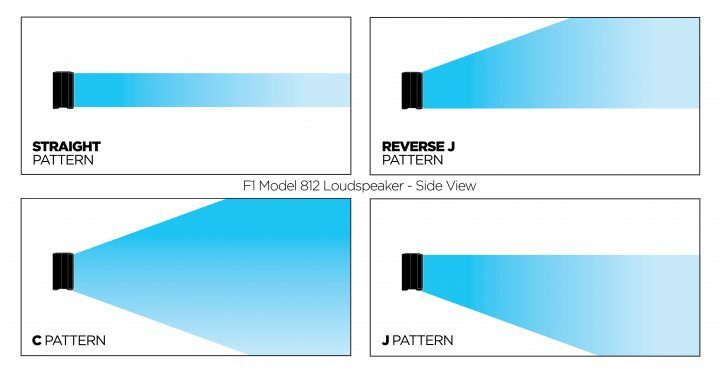 The Bose F1 Model 812 features eight 2.25″ drivers, which are arranged in an array which can be shaped, or “bent”, into 4 different positions, providing a different pattern of vertical coverage with each. There’s a good amount of horizontal coverage also, with 100° of coverage available in all four of the configurations. 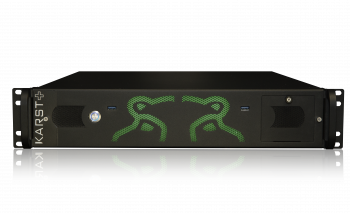 You can see from the vertical coverage patterns outlined below, that each configuration caters to a different environment of use. For long throw applications, with an audience spread out at roughly the same height as the speaker, then straight pattern provides maximum focus. The J and Reverse-J positions can be used for when audience members are seated below or above the height of the speaker respectively. To utilise either of these positions, the user simply pushes in the top of bottom sections of the curve, which latch into place until pulled back forward. In practice, the J-position would be best suited for situations were the audience are seated on the floor with the speaker located on stage, whereas the Reverse-J would be best used for audiences in raked seating, such as in a theatre, starting at the height of the loudspeaker and extending upwards. The C-position is then also available to provide maximum vertical coverage, where the heads of the audience could be located below, in-line or above the height of the speaker. This shape is achieved by pushing both the top and bottom sections towards the back of the cabinet. Powered by a 1000 watt amplifier, there’s plenty of drive to run both the 12″ woofer and the eight 2.25″ drivers, providing an excellent level of delivery across the speaker elements. In terms of control, there’s a 2-channel integrated mixer which provide independent level controls, with XLR, 1/4 Inch and RCA inputs available. Alongside the F1 Model 812, we have the accompanying F1 Sub, delivering an additional 1000 watts of power, and bringing the lower end of the system’s frequency range down to 38Hz through two 10″ high-excursion drivers. The F1 Model 812 unit features a switchable EQ, which allows for the speaker to operate in full-range mode, or in a dedicated High-Pass Filter mode for use with the subwoofer. 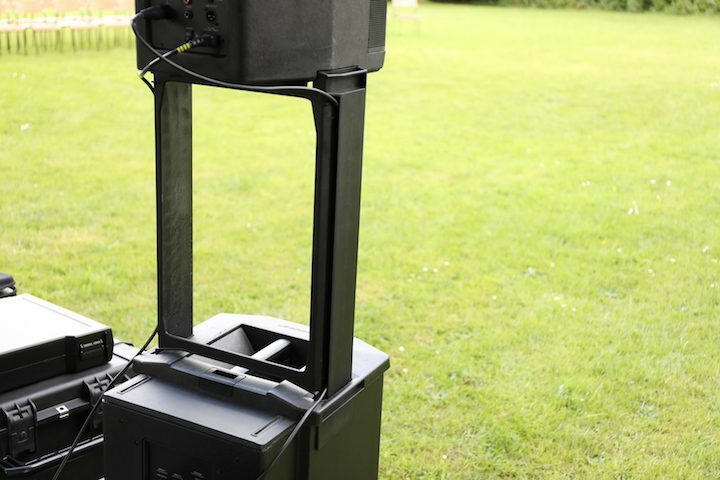 Height x Width x Depth: 26.1" x 13.1" x 14.6"
Height x Width x Depth: 27" x 16.1" x 17.6"
We took two of the Bose F1 Model 812 outside, alongside two F1 Subs, to see how they fared in an outdoors environment. After all, if any array system is to prove itself, then it must do so in an environment requiring a low throw. The event was an outdoor charity fundraiser, which would see the system needing to cater for various different types of audiences, from smaller seated audiences to larger standing audiences, throughout the day. This gave us the perfect opportunity to test the different coverage options provided by the systems various shape configurations. Starting with setup, the system was compact and light enough to be manageable for setup by an individual. For a system that is marketed as an ideal choice for the discerning musician, this is certainly a must. When using the F1 subs, there’s no need for any additional hardware to position the tops above, as the bracket for mounting the F1 model 812 to the sub is incorporated into the sub itself. This simply unclips from the sub, and slots into the top. The 812 is then placed on top, sitting neatly onto the stand. Despite there being no secure clips or fasteners, and the stand seemingly not entering the top unit with much depth at all, the stand is well designed so as to achieve a secure positioning, whilst also achieving maximum height. Both speakers in the system have large handles, situated within deep recesses, which make them easy to carry and position without assistance. Another nice feature is the inclusion of slots, or cable runs, down the back edges of the mounting bracket. This allows for cables between the sub and top unit, as well as power to the F1 model 812, to be discretely hidden away, keeping a tidy aesthetic. This is an aesthetic which starts with the design of the speakers themselves. Plastic cabinets can often look untidy, however the finish on these gives a smart appearance that wouldn’t look out of place in a corporate or commercial environment. 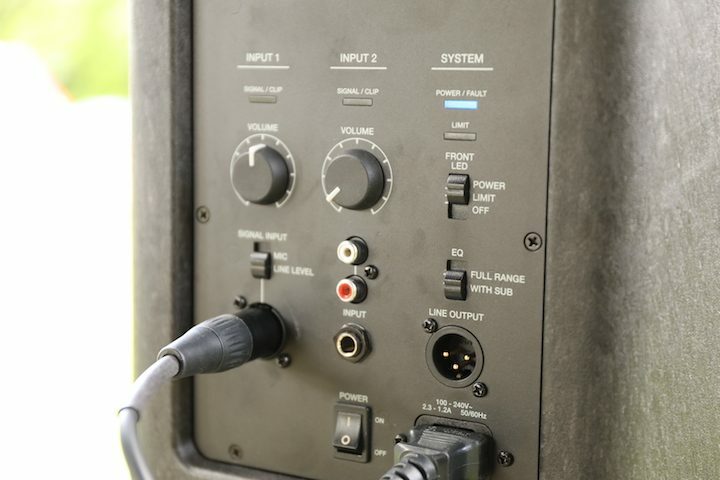 Connections to the rear of the units are convenient and well arranged, with large and easy to read dials providing quick control and easy reference. Controls are also set back into a recess in the speaker, meaning they are less likely to get knocked or altered accidentally. To the front of the speaker, there is an LED indicator which can be switched to display various signals. Firstly, it can be switched to show the presence of power to the unit. Secondly, it can be switched to indicate when the inbuilt signal limiter is active, giving a quick indication of whether the speaker is being overdriven. 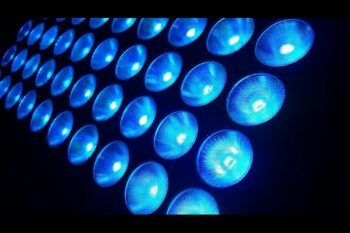 Lastly, it can be switched off completely, a nice touch for if you are positioning the speaker in an environment where the unit needs to blend into its surroundings, for example in a theatre or installation. Just below this we found the EQ setting for the speakers, which can be set between “full range” and “with sub”. It’s worth noting that there are no further presets built into the Bose F1 Model 812, so any additional processing would need to be done externally. Once all set up and connected to our mixer, we tested the speakers with a variety of inputs, including wireless microphones, electronic instruments and mic’d guitar. The sonic quality of these speakers is certainly what one would come to expect from the Bose brand, producing a clean and crisp sound. It could be said that the unprocessed sound from the fixtures is slightly more “digital” and less “warm” than what you might expect from a traditional 12″ point source speaker, however for speech reinforcement this is not a problem, and for requirements that involve more musicality, external processing could always be used. In terms of power, the speakers certainly pack a punch, and the throw of the units really is something to write home about. In our tests, a clean defined sound was achieved across the audience, which was upwards of 300 at its largest. Even towards the back of the crowd, the level was good, and we made a point of moving throughout the space to gain a clear picture of how the sound dissipated throughout the space. The horizontal dispersion was as promised, and the ability of arranging the tweeters of the speaker in the J-shaped configuration meant that the sound was well distributed to those seated right up close, to those standing at the back. The addition of the F1 subwoofers added a defined and powerful low-end response, surprisingly effective considering the small footprint of the sub units and that the drivers themselves are only 10″. In a market flooded with column array speakers, the unique take on compact line array technology captured in the Bose F1 Model 812 is certainly welcomed. 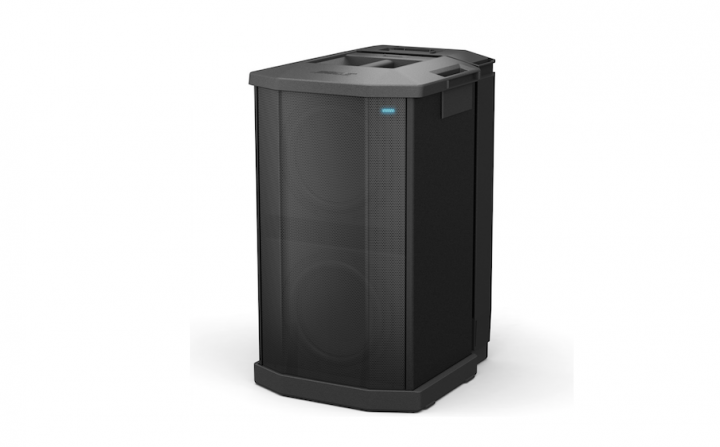 The practicality of the unit makes it a fantastic choice for those who are setting up sound systems on their own, in particular for musicians or those working on small to medium productions. This combined with an incredibly attractive price-point and the clean, defined sound that Bose are renowned for, make this package an attractive offering to those looking for the ability to focus their sound past the possibilities of a traditional point source system. No, it’s not going to work wonders in the largest of venues, but that’s not where this product is aimed. However, for those looking for clear, punchy and directional sound, Bose really have given the market a great offering with the Bose F1 range.